Qualifications: BBusSc Cape TownMAEssex PhD Lond. Jeffrey Sheen is a Professor of Economics at Macquarie University. He has been on the faculty of the Universities of Manchester, Essex and Sydney, and has had a visiting appointment at the Reserve Bank of Australia. He has published his research in major international journals, and his interests span international economics, macroeconomics, labour and international finance. He obtained his PhD at the London School of Economics. Most of his recent research has been in empirical international finance and in macroeconometrics. He is a recognized expert in the analysis of the determinants of foreign exchange intervention, and has published a number of papers on interventions by the Reserve Bank of Australia, the Bank of Japan and the Fed. He has recently published papers in highly ranked journals on the following topics: intranational purchasing power parity, a state-disaggregated macro model of Australian labour markets, consumption risk-sharing within Australia and with New Zealand, non-linear Taylor rules for Australian monetary policy, state space models to estimate potential output and its normal growth rate, the natural rate of unemployment and interest, cyclical drivers of Australian labour market flows, dynamic factor models of business cycle linkages to financial markets, and the implications of animal spirits expectations for monetary policy design. 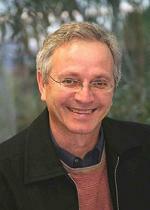 In 2008-10, his research was funded by a large Discovery grant awarded by the Australian Research Council. His Macroeconomics textbook written with Olivier Blanchard is widely used in Australia, and its third edition, which appeared in 2009, has the dominant share in its market. He is the managing Editor of the Economic Record, a member of the Central Council of the Economic Society of Australia and is on the editorial board of the Review of Development Finance. He is a member of the Methods in International Finance Network, hosted at the University of Maastricht, which includes members from Europe, North America and China. Prof Sheen's research has focused on the interaction of exchange rate risk and central bank behaviour, on the way financial and other risks are distributed, and on measuring how risk has affected key macroeconomic variables. Jeffrey Sheen was mentioned in the Australian Financial Review for his role as a Silauow Board Member. The group recently made recommendations to the Reserve Bank about interest rates. Leu S and Sheen J 2011 'A small New Keynesian state space model of the Australian economy', Economic Modelling, 28, p672-684. Leu S and Sheen J 2011 ‘The Australia-Asia Business Cycle Evolution’ in Frontiers of Economics and Globalization, Volume 9, The Evolving Role of Asia in Global Finance, (Eds. Y-W Cheung, V Kakkar and G Ma), Emerald. Ponomareva, N and Sheen J 2010 ‘Cyclical Flows in Australian Labour Markets’ The Economic Record, 86, s1, pages 35–48, September. Blanchard O and Sheen J 2009 Macroeconomics, Third edition, Pearson Education. Chaudhuri K and Sheen J 2007 'To Pool or to Aggregate? Tests with a Dynamic Panel Macroeconometric Model of Australian State Labor Markets', B.E. Journal of Macroeconomics-Topics, vol.7:1, pp. 1-35. Kim D and Sheen J 2007 'Consumption Risk-Sharing within Australia and with New Zealand', The Economic Record, vol.83:260, pp. 46-59. Blanchard O and Sheen J 2006 Macroeconomics, Second edition, Pearson Education. Kim SJ and Sheen J 2006 'Interventions in the Yen-dollar spot market: A story of price, volatility and volume',Journal of Banking and Finance, vol.30 November, pp. 3191-214. Leu S and Sheen J 2006 'Asymmetric Monetary Policy in Australia', Economic Record:82 Special Issue, pp. 85-96. Blanchard O and Sheen JR 2004 Macroeconomics, First edition, Pearson Education, Sydney. Chaudhuri K and Sheen JR 2004 'Purchasing Power Parity Across States and Goods Within Australia', Economic Record, vol.80:250, pp. 314–329. Kim SJ and Sheen JR 2002 'The Determinants of Foreign Exchange Intervention by Central Banks: Evidence from Australia', Journal of International Money and Finance, vol.21, pp. 619-649. Kim S-J and Sheen JR 2001 'Minute-by-Minute Dynamics of the Australian Bond Futures Market in Response to New Macroeconomic Information', Journal of Multinational Financial Management, vol.11:2, pp. 117-37. Kim S, Kortian T and Sheen J 2000 'Central bank intervention and exchange rate volatility - Australian evidence', Journal of International Financial Markets, Institutions & Money, vol.10:3-4, pp. 381-405. Sheen JR and Kim SJ 2000 'International Linkages and macroeconomic news effects on interest rate volatility - Australia and the US', Pacific-Basin Finance Journal, vol.8:3-4, pp. 85-113. Last Updated: 2015-07-02 10:16:59 by Unknown.